OMG Google has to do this. With the Android OS versions getting code names like cupcake, éclair and froyo (which is, evidently, a word), the dessert namespace provides an opportunity too good to miss. Apple Pie. OM NOM NOM. Of course the logo should be a white stylised piece of apple pie with one bite out of it. Or perhaps a rainbow version? People, Google fanboys and Apple haters mostly, desperately want Android to DUHSHTROY iPhone in the market. Personally I don't think this is very likely. I know there are a lot of Android devices out now - more than iPhone I hear - but the fragmentation is really starting to happen. Just like MSX. 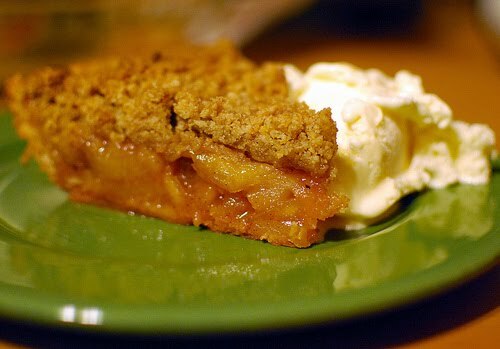 The code name of Apple Pie would trump the Eclipse Foundation's latest IDE version naming stunt, Helios, Ancient Greek for Sun, aka their competitor recently bought by Oracle who is now suing.. Google. Keeping up? The next one to be named starts with a J... I propose "Jelly and peanut butter sandwich"